Desmond Doss, a staunch Adventist who chose not only to proclaim the doctrines of his faith but to apply it in his military fights, accomplished unimaginable exploits. Against all mockery and tauntings, Doss used the Bible and his faith to save 75 lives during the Battle of Okinawa. He survived several injuries, became a hero, and won the U.S highest medal of honor for bravery. Cool huh? Well, there is more to the man. Read on to learn the things one ought to know about Mr. Doss; from his biography to his family life and how he saved 75 lives in a fierce war, we’ve got you covered. Desmond Thomas Doss was born in Lynchburg, Virginia to William Thomas Doss (a carpenter) and Bertha E. Oliver Doss. They raised him in a staunch Seventh-day Adventist Christian home where he was thought biblical principles which he held on to so tenaciously. According to records, Desmond Doss was born on the 7th of February and in the year 1919. It is said that he had a natural ability to understand and share the feelings of others right from his childhood days. For instance, he once traveled several miles to donate blood to an accident victim. When he chose to join the army on the 1st of April 1942, he carried along with him the strict Christian lessons he got from home. Doss never carried a weapon as a soldier neither did he kill an enemy soldier all through his fight during the second world war. As the war progressed, despite the fact that he was assigned to an infantry rifle company, his weapon remained the Bible and his faith in God. This earned him so much ridicule from his fellow soldiers who jeered and laughed at him for his decision. He was seen as a liability, some said that a soldier without a weapon was not worthwhile. Doss was scolded, intimidated, assigned to though duties, and declared unfit for the army. Even, a soldier at the barracks promised to take Doss’ life during combat but no one could toss him out as he refused to leave. However, while the war intensified at the Pearl Habor, he found his place in the medic unit of the war where he ensured no life under his custody was lost. Doss would risk his life to enter the Japanese forth and save a wounded soldier. He prayerfully attended to every wounded soldier, offering what he could to facilitate their recovery. This bravery later earned him so many accolades both nationally and internationally. At the white house, on October 12, 1945, Desmond was honored by Harry S. Truman the then President of the United States with a congressional medal of Honour as one of the best 431 uniformed men, out of the 16 million who fought the war. Desmond was wounded thrice during the battle, even though he survived the injuries, he had to live without five of his ribs and one lung till his demise on the 23rd of March 2006. In his later years, Doss suffered from Shell Shock (PSTD), a health condition that affected his relationship with his son. Doss enjoyed a blissful marriage with his beautiful wife, Dorothy Pauline Schutte. He married her in 1942 and their 49 years old union was blessed with a son they named Desmond Thomas Doss Jnr., he was born in 1946. 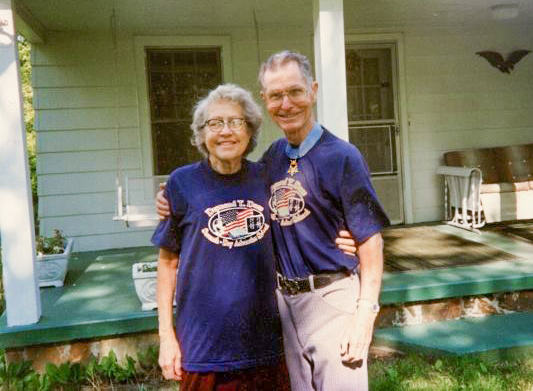 Desmond and his wife had a home characterized by love, prayers, and trust in God. It is said that their house was a home for the wounded and battered. After Dorothy died on 17th November 1991 following a car accident, Doss got remarried in July 1993 to Frances May Duman who later died in 2008, two years after Doss’ demise. Desmond’s brother Harold (fondly called Hal) enlisted in the Navy and served in Europe. Just like Doss, Hal was a patriotic soldier who fought even when the ship was severely damaged on April 12, 1945. He was mistakenly listed as those killed in action because of the damage the ship had, but he miraculously escaped. Hal died in 2007. 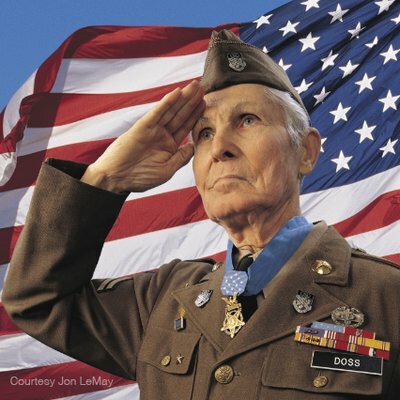 During the battle at the Okinawa Maeda Escarpment, also known as Hacksaw Ridge by Americans, Doss saved the lives of many American soldiers who were battered by the fast and furious grueling onslaught of the Japanese. For half of the day on May 5, 1945, Doss worked himself tirelessly to ensure he saved a large number of soldiers. Although he sustained a severe injury, he stopped at nothing in risking his life to rescue wounded soldiers from the Japanese forth. Desmond Doss will continue to be remembered historically as the soldier who risked his life to save over 75 other soldiers.